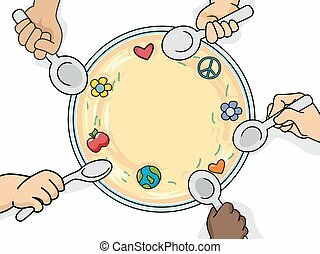 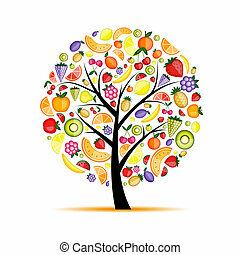 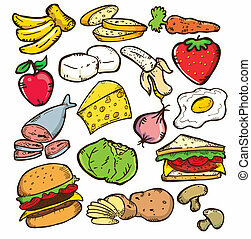 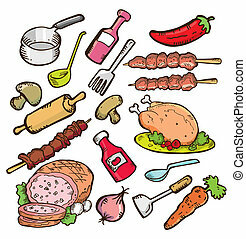 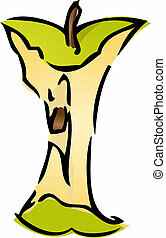 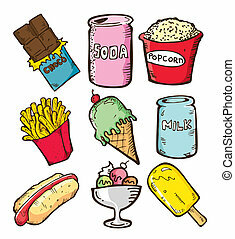 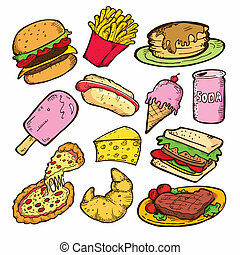 Big Food and Kitchen Collection of fine small hand drawn illustrations. 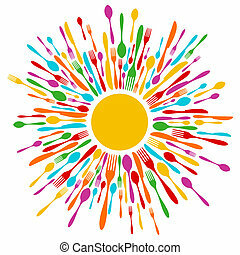 Individual icons are grouped only in vector version. 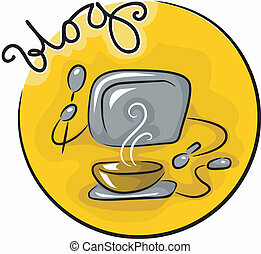 Illustration is in eps8 vector mode! 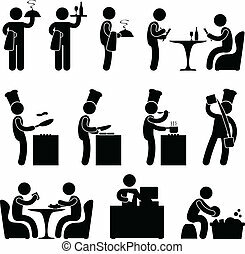 A set of human figure and pictogram showing scenarios of a restaurant.